For my wedding, we chose The Tamarind Tree in Bangalore as the venue. We thought the place looked very nice. But it needed a talented lensman to show how beautiful the venue really was. 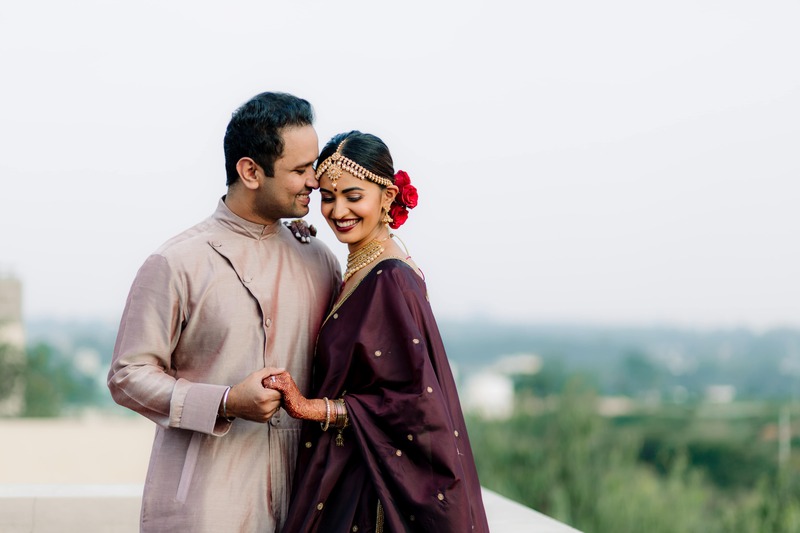 Vivek Krishnan, who was chosen by my husband for all photography and videoing of the event, has gifted us stunning impressions of the place and the events that took place on our special day. 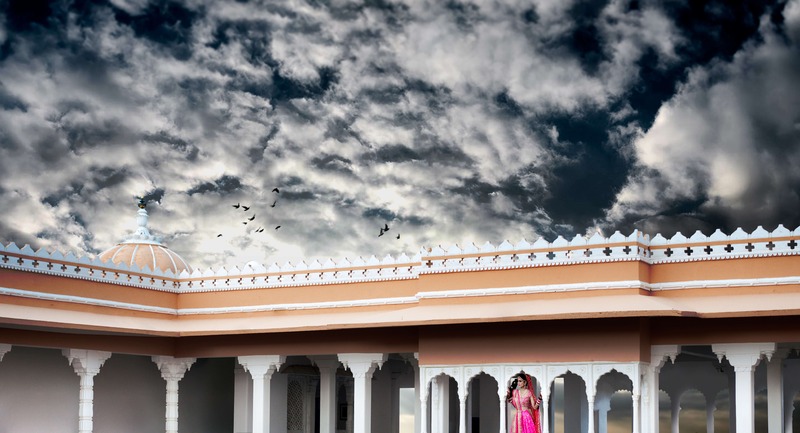 No doubt the decorator had done a good job of enhancing the inherent beauty of the place, but in the short video that Vivek has created, the place looks like heaven, no less! His team was brilliant. The candid photographer managed to capture moments and expressions worth savouring for many years to come. The conventional photographer ensured every visitor was covered. But the the 8 minute video of the event edited and produced by Vivek, is the icing on the (wedding) cake. It captures the essence of the whole ceremony, and is indeed an outstanding capsule to share with friends and well wishers. It is short, yet it captures every aspect of our wedding. Vivek and his team were outstanding at capturing our small Mahabalipuram wedding. 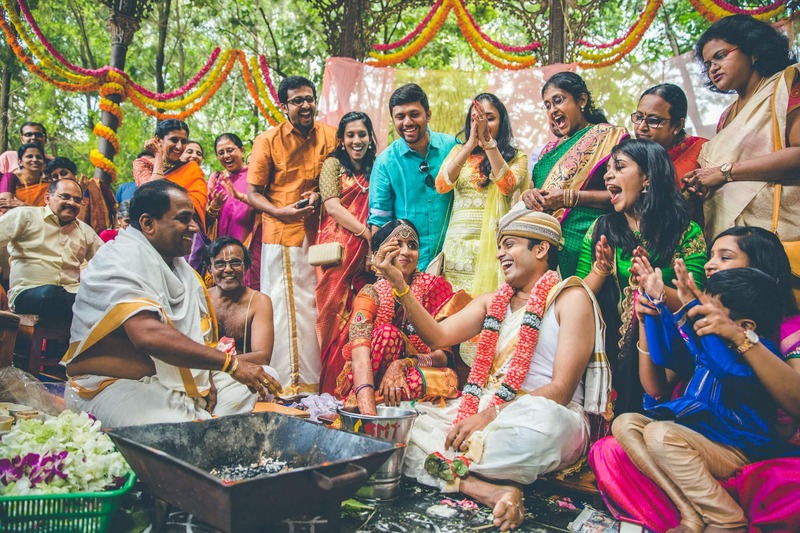 Our wedding was about our families and friends getting together and celebrating, and Vivek was able to rightly capture the whole feel of our wedding celebrations! The pictures are intimate, fun and full of friendship. We're so glad we went with him for our wedding photos, and we would highly recommend him and his team to anyone looking for natural, candid and beautiful pictures from their big day. I am a person who just doesn’t like camera. But I was getting married and I don’t think so I had an excuse not to get a photographer. As the wedding dates were coming closer my husband suggested Vivek and his team. I went through the work on the websites and I asked Vivek to be part of our wedding. We loved working with Vivek and team. All the beautiful moments were captured so well. My family and friends loved the wedding pictures. 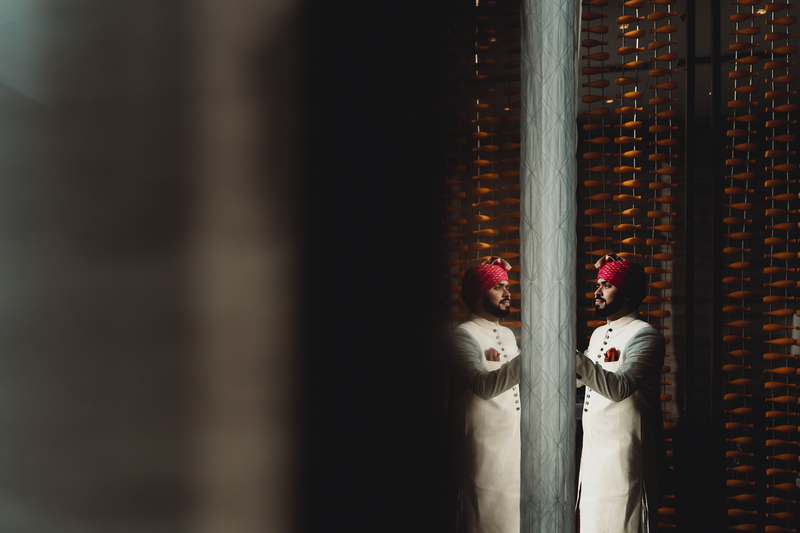 The pictures just weave all the moments during the wedding in a pristine form. The team is extremely friendly and they always respond on time. I just had to drop them a mail and they would just take care of things. I would definitely recommend Vivek and his team anytime. Invite them to your wedding and you will relive your wedding day every time you see those wonderful pictures. Thank you so much Vivek and team. It was a great pleasure working with you. The team @ Vivek Krishnan Photography were really accommodating and in Vivek we found a friend. They were extremely professional and personable. 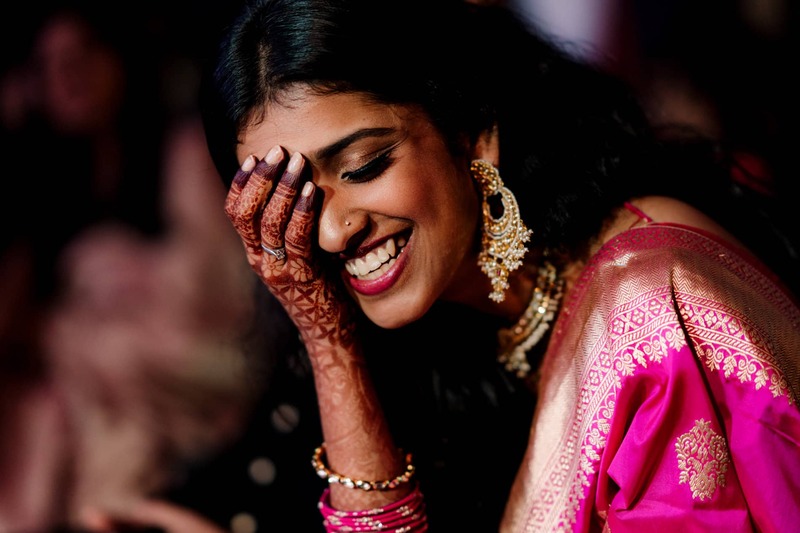 In the busy haze that is a traditional Indian wedding, the last thing you want is photographers asking you to "hold that pose" or "look this way". We hardly noticed Vivek and Ebin and yet they captured some really precious, candid moments. They were not intrusive in any way- the ultimate Ninja photographers! Through the photos we were able to relive all of the events that took place. And the finish is excellent, with the colours beautifully captured by VK team. My husband and I will treasure these photos for years to come. I couldn't possibly have asked for more than what Vivek did with my wedding pictures! Such amazing class and elegance is what he can bring to the table! I'm still amazed as to how he can capture expressions so beautifully! Thanks Vivek for doing my wedding pics so well! One year later and I'm still awestruck with them!! 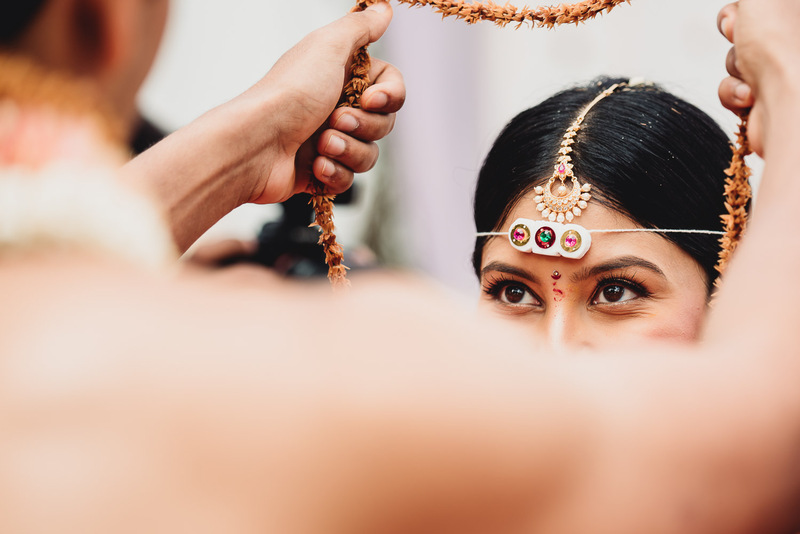 Vivek was the first photographer my (now) husband and I contacted to shoot our wedding. 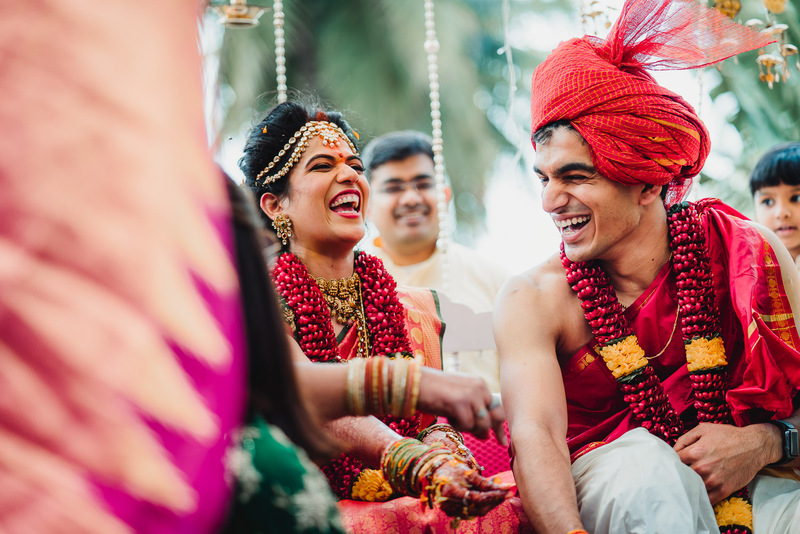 Admittedly, we went about contacting several candid wedding photographers after Vivek but never found anyone who's work truly matched our vision like his did. There were some photos on Vivek's website that were unique and unforgettable. And we went for it. We signed him on and we are so glad we did. We made a new friend in the process. And the result - we had a warm, friendly photographer at our wedding who truly understood the vibe our album should reflect and he made it happen. 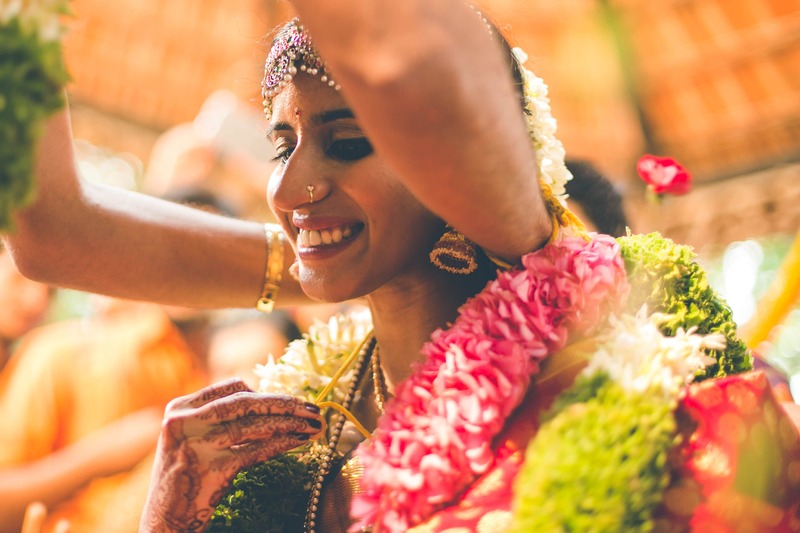 Each photograph clicked at our wedding has a glow (not from the lighting), a soul and it transports us to that very moment in time - we relive the memory with so much joy and contentment. Thanks Vivek - it was a delight. Vivek was recommended by a friend and when we saw his work, we were immediately impressed. He was very prompt with his replies and we had everything in place in a very short time. During the wedding, he worked patiently to capture some really beautiful moments. Thorough professionalism throughout. The pictures were delivered on time and came out really well. They were spontaneous, fun and clearly captured our happiness. Thank you Vivek! There aren't enough superlatives that do justice to Vivek's invaluable work in capturing beautiful moments of our wedding. We went out to hire a photographer, and in Vivek we found a dear friend. 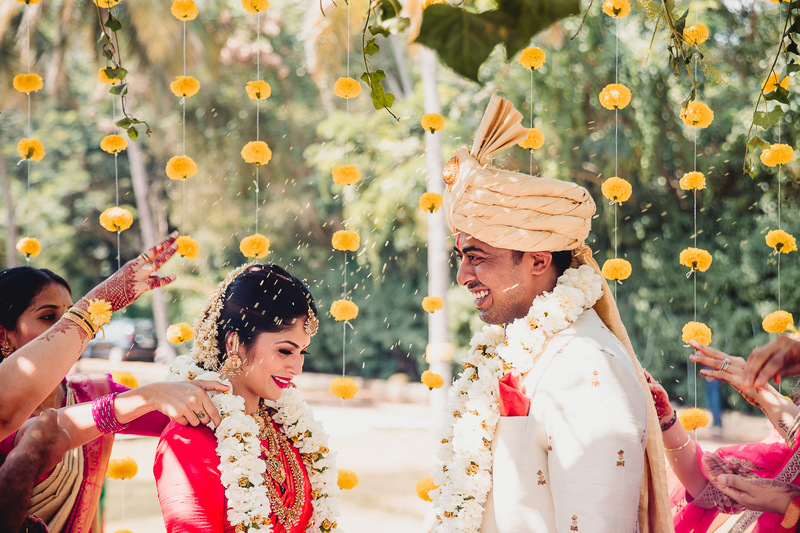 Vivek artfully captures the explosion of emotions, expressions, and delicate intricate familial moments that come with a wedding. 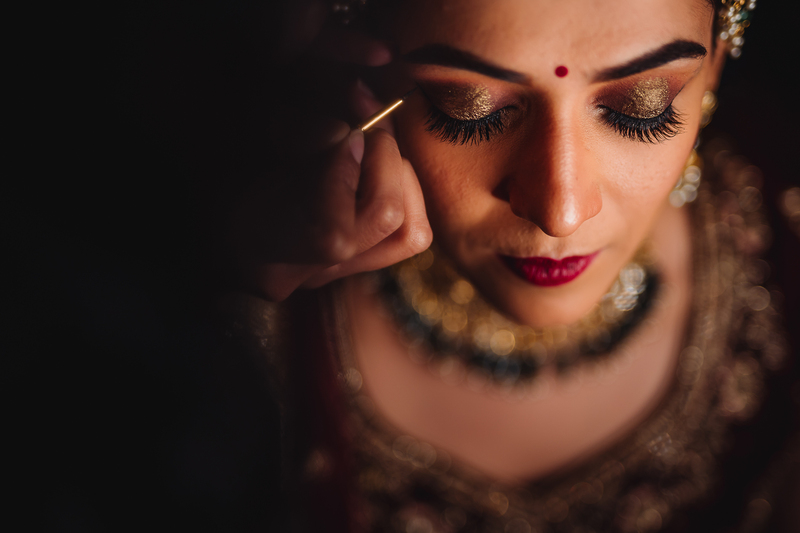 Though we also hired a conventional wedding photographer as well, it is Vivek's candid work that we find ourselves returning to time and again; and each time we find the magic of our wedding recreated. 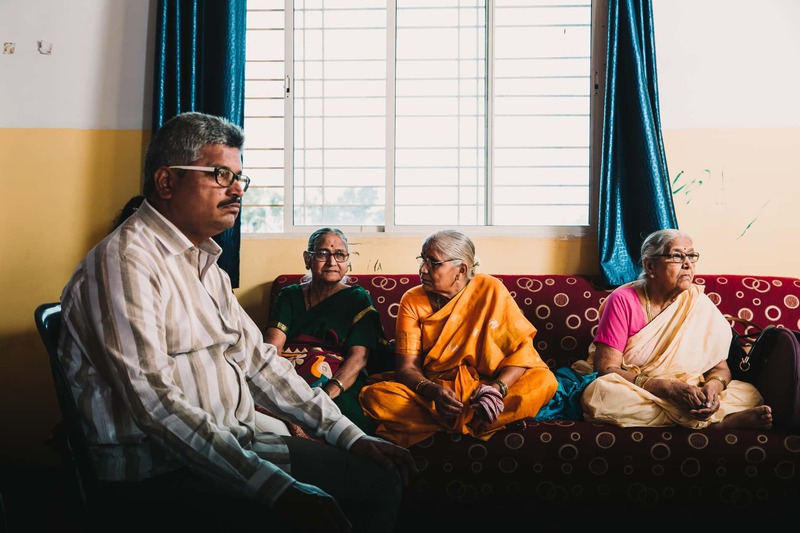 Vivek is blessed to ply a trade in which he captures beautiful memories for families to return to over generations, and he is truly a master at his chosen trade." "Vivek is a dear friend and a brilliant Photographer". When he offered to shoot my wedding, I agreed, although I hadn't seen too much of his work. I was pleasantly surprised and extremely satisfied with the end results. The pictures were fun, natural, unique and captured the moments so perfectly , I couldn't have asked for anything better. He is extremely hard working and earnest and takes his work very seriously. His easy going nature put us at ease during all the wedding madness and we had such a blast , which is very evident from the pictures. I can't thank him enough for making us look so lovely. Truly one of the most talented photographers I've seen in a while. Our destination wedding photography and cinematography teammates share the same vision, discipline and professional approach. 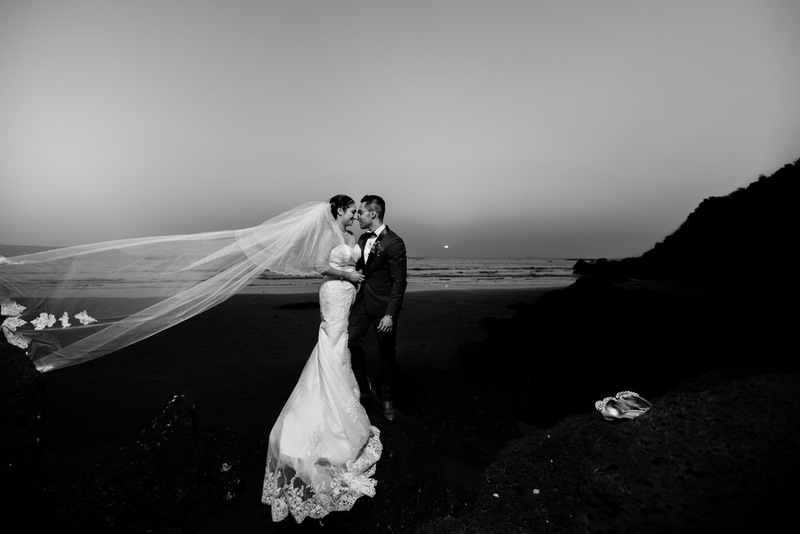 We as a team also share our love for travel and enthusiasm to capture real love stories around the world! While always looking for a new perspective in a beautiful way, all our photos are treated with care and creative touch. 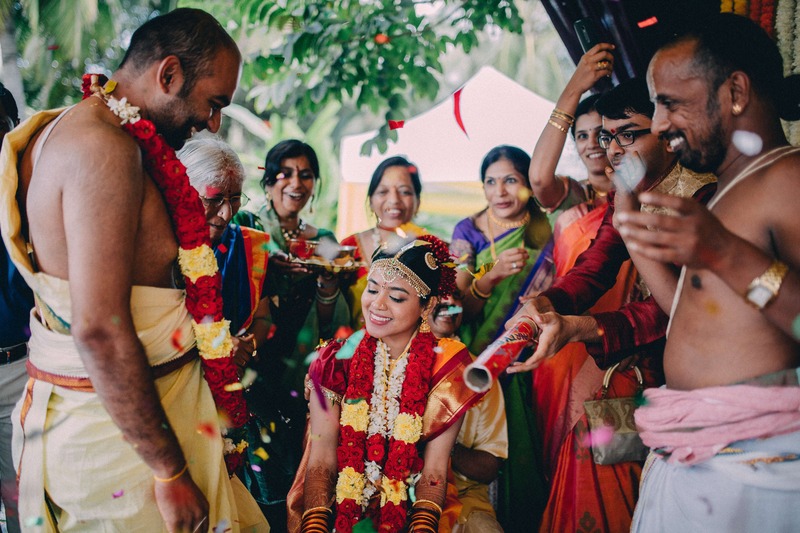 We have photographed weddings all across India , Malaysia , Srilanka . Our Production house is located in Bangalore, with state of the art studio where we do fashion and product photography as well.